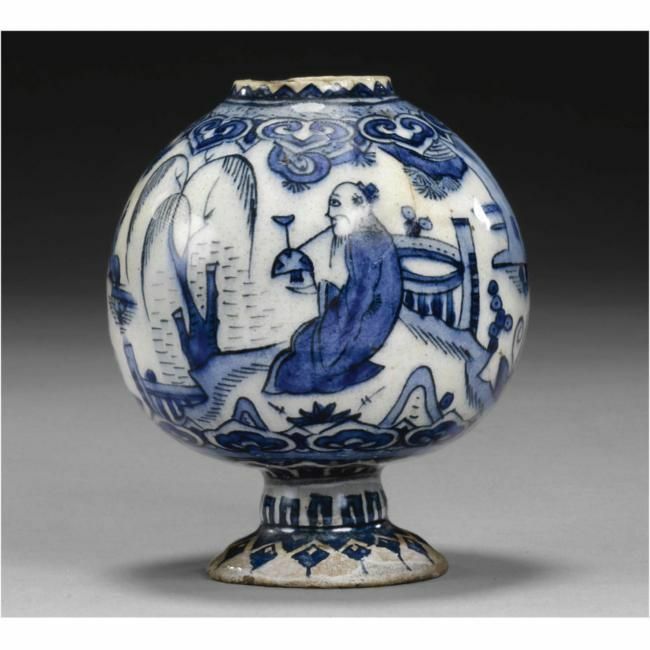 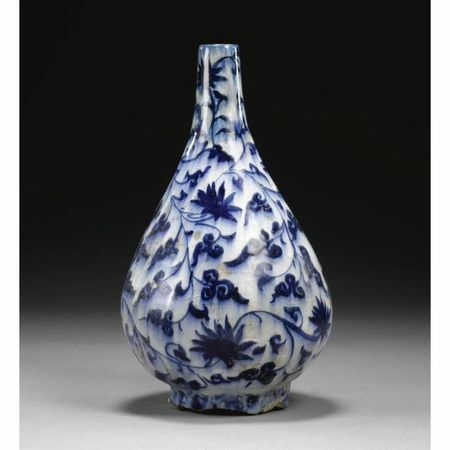 NOTE: This is a beautiful example of one of the most refined forms of ceramic ever produced in Persia. The name "Gombroon" refers to the port of Gombroon, or Bandar Abbas, on the Persian Gulf where these wares were traded. 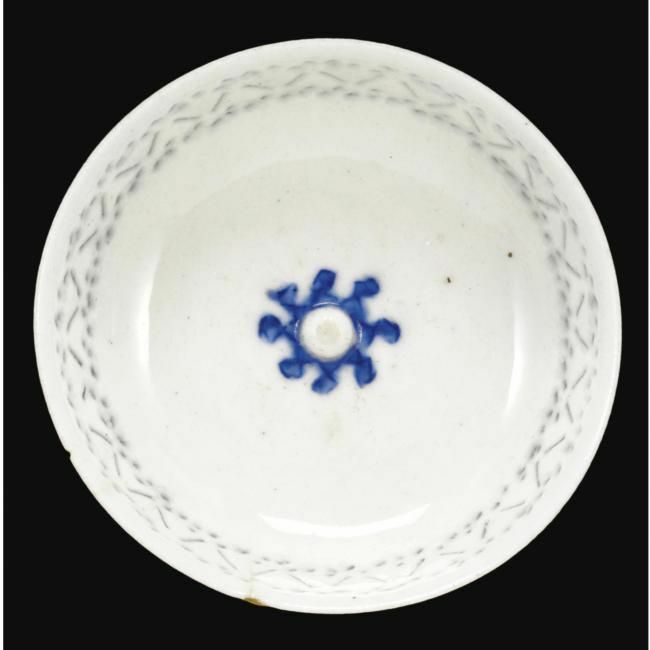 The pierced decoration is in imitation of the "rice-grain" decoration in Chinese porcelain.